The Bedazzled Chainsaw is the titular weapon of the game and Juliet Starling’s signature weapon. Being a massively modified Chainsaw, its frame is colored to match Juliet's cheerleading attire, the blade also has pink hearts cut into the blade along with some other shapes, when the chainsaw is fired up the chain ignites into sparks. The Chainsaw also has incredible power and durability allowing it to slice up countless zombies and never break. Even before the events of Lollipop Chainsaw, Juliet's weapon of choice has been heavily modified to go along with her everyday life; namely a cassette player, a notepad and a phone with which to speak with her family, all built into the base. Throughout the game, however, it is modified through birthday gifts received from her loved ones. The Chainsaw acts as a multitool in killing the undead, by allowing Juliet to quickly dash forward, becoming a deadly blaster, or by changing to a small, colorful cannon that can be used to fire Nick's decapitated head. The form of the Chainsaw can also be radically altered, as shown by the Chainsaw Blaster and Chainsaw Dash. Juliet's chainsaw bears a pink heart motif. 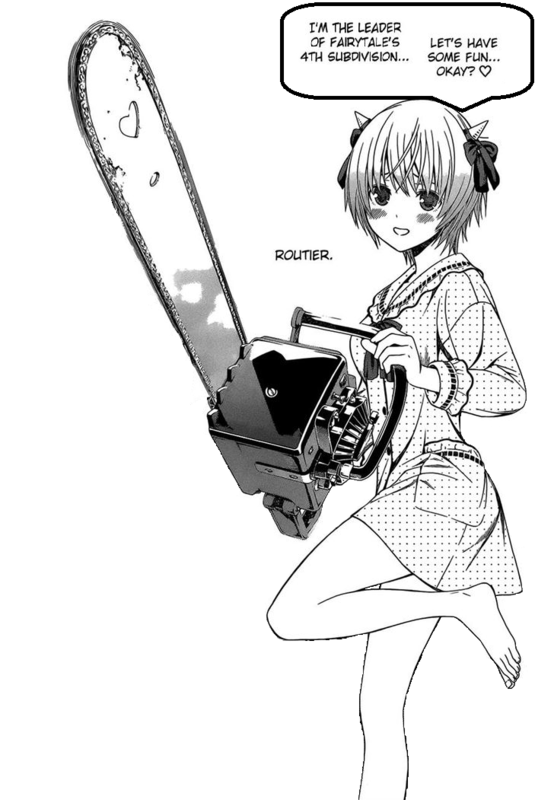 Juliet chainsaw has the same heart-shape hole near the front as Rosario + Vampire manga character Routier's chainsaw. According to Juliet, it's possible to buy some of the weapon's upgrades on Amazon's site. Lollipop Chainsaw Wiki is a FANDOM Games Community.